Last night I attended an opening night event for Mampalooza, an arts conference and festival celebrating motherhood. The room was filled with an array of supporters from members of the Association for Research on Mothering (part of York University in Toronto), to Alana Ruben Free who publishes the Mom Egg Literary Journal to entrepreneurs, musicians, artists and writers. And of course in their midst, floating across the room was the always outrageous, outspoken and punkishly glamorous Joy Rose, founder of Mamapalooza (who also writes the “Living Loud w/Joy Rose” column on The Lohasian). May is Mother’s Month*Celebrate with MAMAPALOOZA! Every year I feel like saying, this has been the best year ever! Well it has. With the successful registration of the Motherhood Foundation and Mamapalooza Festival Stages solidifying their place in local communities, partnerships and alliances with other Mom-minded organizations are on the rise. Last year and this year sees us partnering with great feminist organizations like Women’s Media Center, ARM ~ Association for Research on Mothering and government organizations like Office For Women, Westchester, New York and Camden Parks, Educational Institutions like the campus of Irvine and Mom businesses like our community partnership at Hot Moms Club. Wow, that is beautiful work. We are poised to face our next big challenge head on. When we started putting a name and face on performance by women who were mothers six years ago, we invented a genre. The next challenge we face has to do with translating our numbers into a formula big business can recognize. We are many and we are mighty. Our mission must continue to empower women not only through performance, but through financial stability. This does not mean compromising our creativity or our values, but it does mean taking stock and collectively counting our numbers, because the numbers do not lie. Over 400 Artists, Musicians & Educators on…. 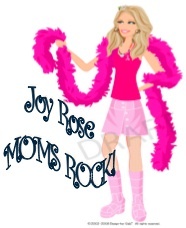 Moms Rock and so do YOU! Thank you for helping to change the world one song, shout, yelp and hiccup at a time. Remember, even when we’re overwhelmed, underpaid and completely unsure how to move forward, we HAVE CREATED SOMETHING GREAT, MEANINGFUL and CELEBRATORY TOGETHER. All My Congratulations to All The Mamapalooza Mamas and our Friends, Fans and Family! Good luck with all your shows and remember to love each other.